On several occasions I have braved the elements and gone for a morning surf in Wellington’s icey waters. My steamer slightly lets me down. I’ve been doning my Irish flat mate Gavin’s spare. His is a size medium short (man) so it’s approximately 2-3 sizes too large. But I justified it by the fact I save a whopping $10 hireage cost. The suit was almost toasty on shorter surfs, but I felt the wrath of this decision when I stayed out for a full hour. After 45 minutes, ripples of cold water start to move through the suit. First the chest, and then the legs. After an hour my hands were so numb they lacked the strength to unzip the wetsuit. For at least 10 minutes I attempted this in vain. Next time I quickly coughed up the cash and hired a suit in my actual size. Despite the brisk temperature, the whole experience is completely exhilirating. I can’t help but beam as I lie on my board waiting for the next set to roll in. I’m quite proud of the fact that I can now easily stand on my long board. I wave furiously in enthusiasm to my fellow surfers and have mastered the skill of doing so without falling off. The time has come to learn to maneouver the board along the wave, but for now I’m still shrieking in glee as I ride the white water into the shore. And I’m reminded once again of what a unique city Wellington is. 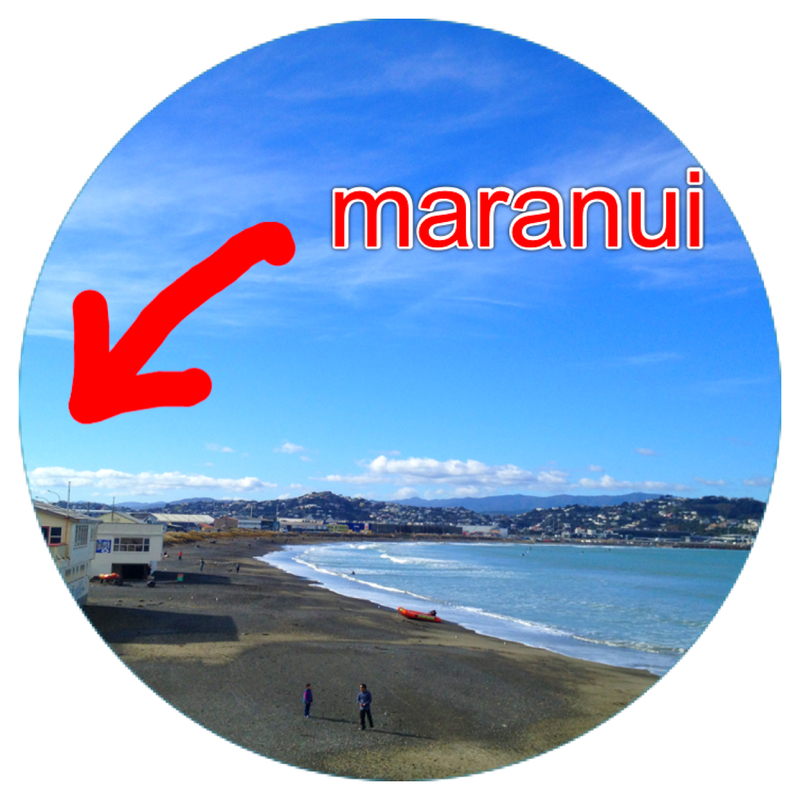 My flatties and I walk down the road for a surf, go home warm up and then stroll back out for brunch at the infamous cafe Maranui. 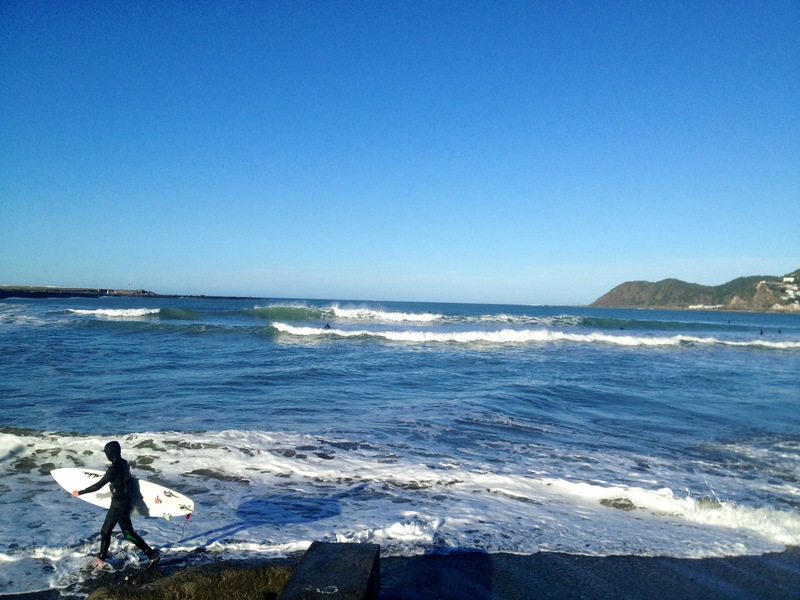 As I eat my eggs benedict I watch the other surfers frollicking in Lyall Bay’s waves. Living the Kiwi dream you could say.